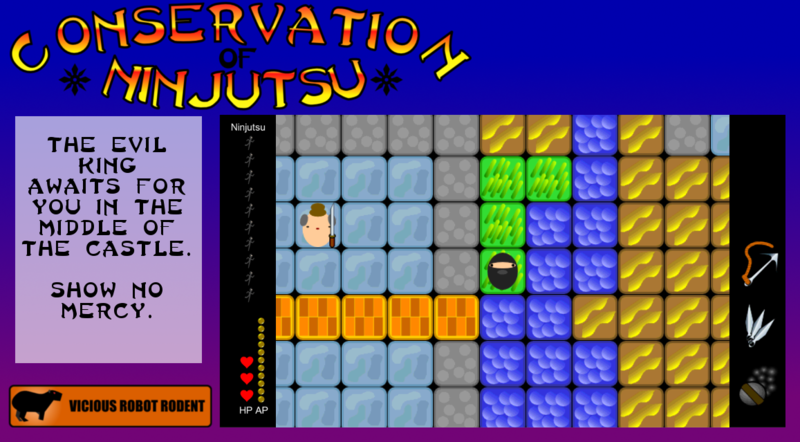 Be a ninja and defeat the evil king. 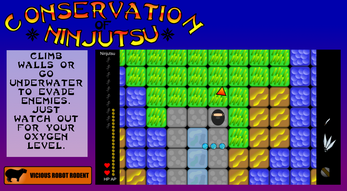 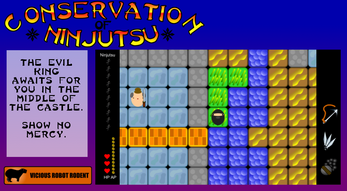 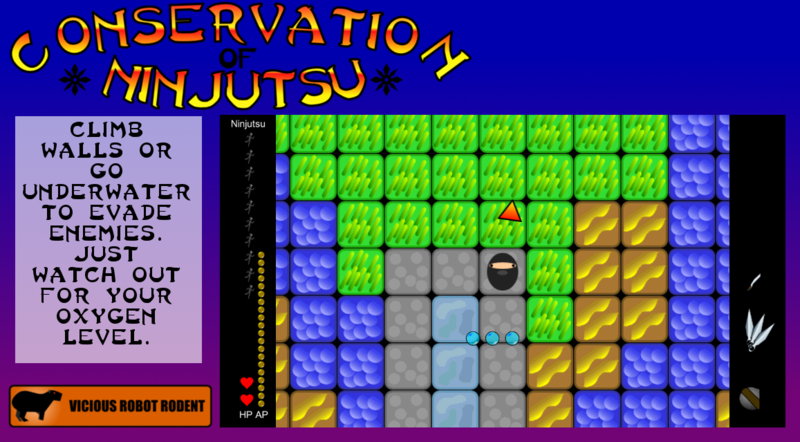 Conservation of Ninjutsu explores head-on the eponymous trope on roguelikes with a new Action-Point based turn for the player. 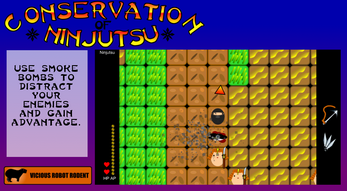 Learn how to take down the evil king without being detected and master the game.